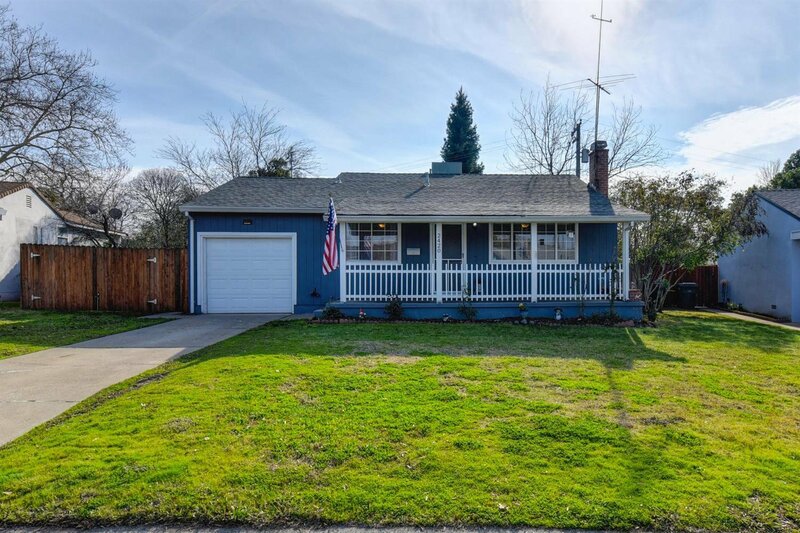 Honey Stop the Car.....this Little Cutie has so much to Offer in a Great Neighborhood in Del Paso Manor with Endless Charm. Large Front Porch to Enjoy a Morning Cup of Coffee, Beautiful Wood Floors, Updated Kitchen, Bright Living Room with Cozy Fireplace and Nicely Updated Bathroom. Rare and Desirable RV Parking for your Trailer, Toy Hauler, Boat or Whatever you Bring. Lard Backyard with Ample Space for Entertaining, Gardening or Just Relaxing. Pick a Fresh, Juicy Grapefruit off your Tree and Cozy up to the Firepit. Two Backyard Storage Sheds will Stay with the House. Homes don't come available often in this well manicured neighborhood so don't miss out! Listing courtesy of Realty One Group Complete. Selling Office: Galster Real Estate Group.